We've recently been warned that the internet is little better than a highly addictive drug that, once it has us in its clutches, will completely ruin our lives, turning us all into wacked-out monitor-staring zombies. That was bad enough, but now some concerned authority figures are worried that Facebook is turning children into gamblers, setting them up for an old age of nursing home field trips to the Tropicana in Atlantic City, where they'll be left to zonk out in front of the penny slots until they get hungry enough to try the buffet's Salisbury steak. The Telegraph reports with much hand-wringing and heart palpitations, that our innocent progeny are falling victim to the seemingly innocent games on Facebook, which include roulette, slot machines, and card games. (Roulette is a game for stupids, so we'll just say that any child who falls into that honeypot more or less deserves it.) These free games, warn concerned observers such as the University of Salford's Dr. Carolyn Downs, lead young, impressionable minds to believe that gambling is just harmless fun, which in turn creates a pattern of gambling behavior that leads all the way to the back of the Salisbury steak line. The back of it. 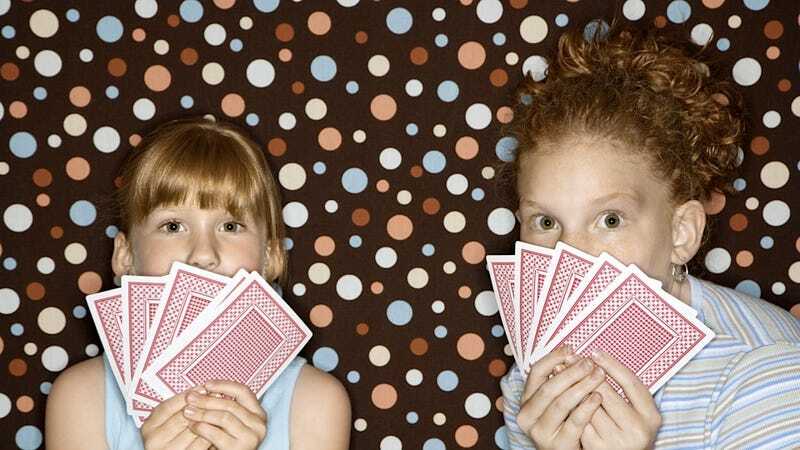 In the U.K., the legal gambling age is 18, but Facebook users need only certify that they're 13-years-old to play Facebook poker with zero dollars at stake. The charity GamCare has nonetheless asked the U.K.'s Gambling Commission to have a looksie at Facebook's insidious free games because, according to policy and development director Mandy Barrie, "There is a link between early exposure to gambling and developing a problem in adulthood." Rather than go through all this trouble, the powers that be should just make Leaving Las Vegas mandatory viewing for all 13-year-olds. That would definitely spoil whatever allure gambling has for all kids except those stupid roulette players — if the casinos don't get them, it'll be scratch tickets or the animal guessing game with a guy named Merv who hangs out behind the local convenience store.